The Santa Cruz Port District recently received its second District Transparency Certificate of Excellence from the Special District Leadership Foundation (SDLF) in recognition of its ongoing efforts to promote transparency and good governance. 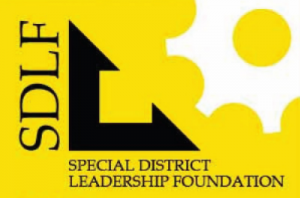 The SDLF is an independent, non-profit organization created to promote transparency in the operations and governance of special districts. To receive the award, a special district must complete essential governance transparency requirements, including meeting legal requirements such as conducting ethics training for all board members, properly conducting open and public meetings, and filing financial transactions and compensation reports to the State Controller in a timely manner. In addition to meeting legal requirements, achieving a certificate demonstrates that the Santa Cruz Port District has met additional transparency, website and outreach requirements. The Santa Cruz Port District Commission affirmed its commitment to transparency in January 2019, by including in its annual priorities a stated goal of providing accurate and timely information through a variety of means to the public. Santa Cruz Harbor is a Certified Clean Facility of the Clean Marine Program. 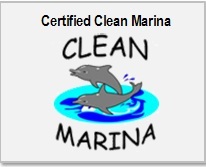 A coalition of private marinas, public marinas, boatyards and yacht clubs, the Clean Marine Program was developed to ensure clean facilities exist in our boating communities and protect our waterways from pollution. Santa Cruz Harbor was first certified on December 4, 2007, and currently maintains its status as a Certified Clean Marina. Re-certification occurs on a five year basis. Welcome to the Santa Cruz Small Craft Harbor. The harbor provides permanent moorage for approximately 1,200 wet-berthed and 275 dry-stored vessels and offers both residents and visitors access to a variety of recreational and commercial opportunities.